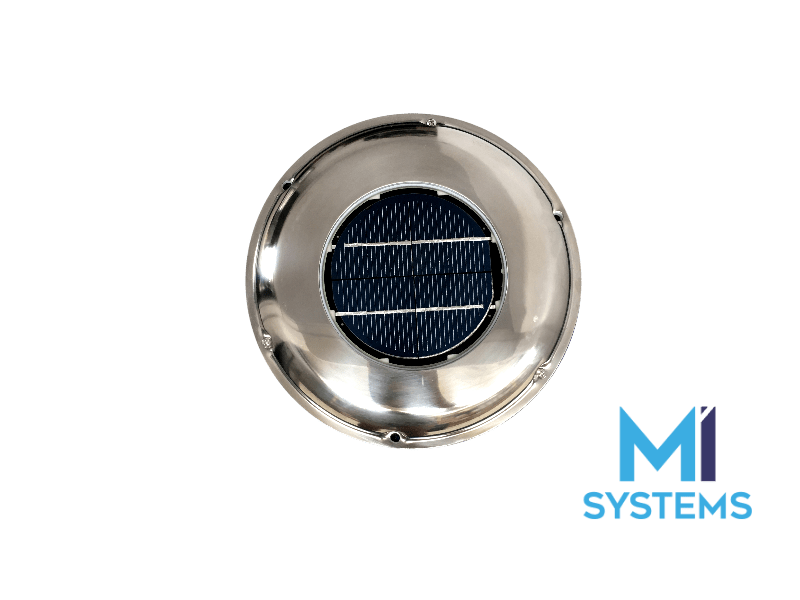 This solar powered ventilator has a stainless steel cowl and is low profile. It can be used in motorhomes, trucks, boats and various off the grid or tiny homes. It can be operated without wires or battery for efficient low cost ventilation. The solar vent has a fan capacity which will extract 11.3 Cubic Feet of air per minute under the full sun. The SVT-224S has a built in Ni-MH rechargeable battery and moves 850 cubic feet (24BM) of air per hour. Supplied with an interchangeable fan the vent can be used as an exhaust or intake.